Identify the challenges and dangers inherent to hot water delivery systems in buildings. Discuss digital advances and water mixing and recirculation stations that maximize burn protection while minimizing the health risks for water borne bacteria in high performance commercial and institutional facilities. Review components and codes that determine performance standards for a safe and efficient hot water delivery system. Specify an integrated hot water delivery system that can be tied into a building automation system to meet green codes for measurement and verification. A rise in the number of people scalded in public buildings from hot water, the increase in Legionnaires’ disease and the demands for water conservation are challenges that designers face when specifying water mixing and circulation systems. The plumbing system is the one component of buildings that directly affects public health. There are many challenges when considering the overall integration of internal systems in sustainable high-performance buildings. Today, engineers, designers, and facility managers have new tools to directly measure, monitor, and deliver safer hot water systems due to new digital advances in hot water mixing and recirculation systems in commercial and institutional buildings. The health statistics are alarming. According to the American Society of Sanitary Engineering (ASSE), burn injuries can occur at temperatures above 120 degrees F. Most codes recommend that all of the components of a hot water delivery system be set at temperatures that prevent hot water burns. However, the codes do not require consistent hot water temperatures throughout building water systems. 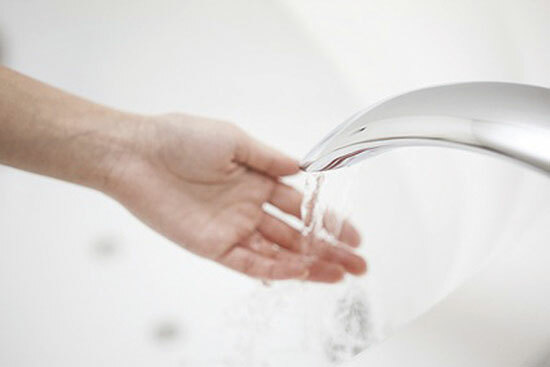 There can be wide fluctuations in hot water temperatures supplied to any plumbing fixture, such as a shower or handwashing faucet, resulting in unsafe conditions and potential liabilities. Entire systems are engineered with a complex system of pipes, valves, and thermostats which until recently were based on analog, not digital, elements. Hot water temperatures can vary widely throughout most building plumbing systems causing uneven and dangerous temperature swings. As one example, a survey of major hotel chains was conducted to review the temperatures in their hot water system at showerheads and faucets. Very hot water was found in 91 percent of the first 100 rooms tested even though the design of these systems met current codes and used the latest in pressure-balanced valves. These hotel rooms delivered maximum hot water temperatures for showers in excess of 115 degrees F while 78 percent provided water in excess of 120 degrees F. At 120 degrees F, it takes more than five minutes to produce a first-degree burn. At 140 degrees F, it takes approximately five seconds to sustain a first-degree burn, creating an enormous safety and liability problem for owners and operators. The thermal shock of a rapid and uncomfortable change in shower temperature can cause a fall or serious injury. For hotel owners, maximizing temperature controls and temperature swings will decrease their liability. A digital mixing and recirculation station provides safer hot water delivery in commercial and institutional buildings. In addition, the temperatures in 62 percent of the surveyed rooms had hot water that was set at the prime temperature for the growth of the bacteria Legionella Pneumonia. According to the Centers for Disease Control (CDC), an estimated 8,000 to 18,000 people are hospitalized with Legionnaires’ disease each year in the U.S. Inhalation of aerosols or mists containing the bacterium is presumed to be the primary means of acquiring legionellosis. Aerosolized waters from cooling towers, evaporative condensers, showers, and humidifiers have been identified as sources of infection. 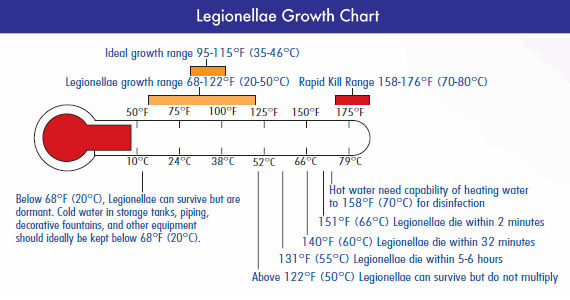 The ideal temperature for the growth of Legionella is between 95 and 115 degrees F, the same temperatures that are safest to prevent scalding from hot water. In order to safeguard the public from this deadly bacteria, water temperatures must be high enough at the point of source to prevent bacterial growth and low enough to prevent scalding at point-of-use. “When it comes to Legionella bacteria, outbreaks occur when two or more people become ill in the same place at about the same time, such as patients in hospitals. Hospital buildings have complex water systems, and many people in hospitals already have illnesses that increase their risk for Legionella infection. Other outbreaks have been linked to aerosol (mist) sources in the community or with cruise ships and hotels, with the most likely sources being hot tubs, cooling towers (air-conditioning units from large buildings), and water used for drinking and showering.” To prevent the build up of the Legionella bacteria, Occupational Safety & Health Administration (OSHA) recommends that water systems be properly inspected and maintained with frequent flushing of domestic water systems at very high temperatures. Along with medical professionals, the design profession is committed to ethically protect the health, safety, and welfare of the public. Designing buildings that heal, not harm, is an ethical mandate for all building professionals. The challenge to designers is that the control of both the prevention of scalding as well as the control of bacteria requires mechanical precision within a water distribution system. However, until recently, hot water delivery systems have been engineered using twentieth century components and engineering. New digital mixing and recirculation systems are smart water delivery solutions for mixing domestic water in a hot water recirculation loop. These systems are used in commercial and institutional facilities and can be integrated into a building automation system (BAS). 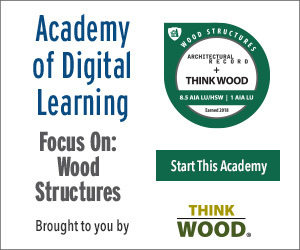 The digital revolution in building systems has created numerous new products that provide energy savings for high-performance building materials. BAS systems commonly control heating, ventilation, and air-conditioning systems (HVAC) and some larger equipment such as chillers and boilers. The latest in plumbing system design provides an opportunity for digital controls that can communicate to BAS programs. New digital mixing and recirculation stations allow for the integration of hot water delivery systems into automated program controls. A change from mechanical to digital equipment is a welcome advance in technology. These new mixing stations control the entire tempered water recirculation loop at safe temperatures using electronic mixing valves, fast response sensors, and high-speed actuation. They can limit temperature regulation to exceed the requirements of the American Society of Inspectors of Plumbing and Sanitary Engineers, ASSE 1017. This standard allows mixed outlet temperature swings within +/- 7 degrees F (for valves > 40 gpm) throughout a hot water system. Using high-performance digital valves, the new systems can reduce that temperature swing within +/-2 degrees F. This provides a control measure as well as energy savings that are difficult, if not impossible, to meet in mechanical systems. Digital plumbing equipment can also deliver one of the first means to provide measurement and verification (M&V) commissioning data for the use of water in buildings through building automation systems. This advance in building commissioning systems provides a new tool to help conserve water as well as save energy. A digital water mixing and recirculation station can adjust the volatile flow of hot and cold water in hotel rooms preventing burns. Water and energy systems are interdependent. The U.S. Energy Information Administration (EIA) reported that in 2009, heating and cooling were no longer the culprits for high energy bills. Instead, water heating accounts for up to 18 percent of a home’s energy budget. In April 2015, data released by the EIA Commercial Buildings Energy Consumption Survey (CBECS) demonstrates that water heating accounts for a major factor in a commercial building’s energy budget comparable to that used for heating and cooling. Even minor changes in temperature control can mean major changes in overall cost savings. E Source, a company originally part of the Rocky Mountain Institute, reports on research and provides data to utilities and other energy services as part of demand side management by utilities. Data from an E Source report on hospitals shows that water heating can consume as much as 35 percent of a total energy budget. Hot water heating is as much as one-third of most residential heating budgets. As architects grow in their knowledge of how to deliver buildings that are both energy efficient as well as those that conserve water, details matter. Understanding the complex hot water system will provide tools that assist design professionals to develop more sustainable buildings. 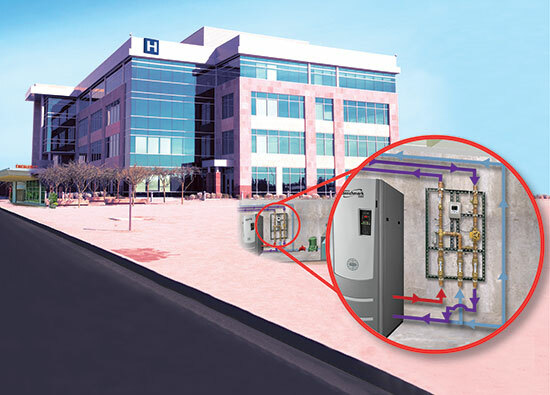 Digital advances in plumbing technology include new digital water mixing and recirculation systems for commercial and institutional buildings as part of a hot water regulating “plug and play” commercial boiler system. These units have simplified some of the uncertainties and challenges of safe hot water delivery by controlling large temperature swings and increasing the speed of response to temperature changes. They also can be connected by smart controllers to building automation systems that allow facility operators to measure and verify water and energy usage. These new units can be specified for new construction as well as for renovating existing buildings.